Registration is required. Registration Fee: $95.00. Deadline: September 7, 2017. For Human resource professionals and benefit specialists, financial officers, insurance brokers, physicians and clinical staff, and others working in healthcare and benefits professions. How will Value-Based Purchasing Affect the Employer & Patient? Re-Insurance: What is it? How does it protect and limit a company’s health care cost exposure? Scott Holtmyer, R.Ph., Director of Clinical Services, Script Care, Ltd. Continuing Education Credits: SHRM (5.0 hrs. General HR approved); NC DOI Life & Health Underwriters (5.0 hrs., in review). 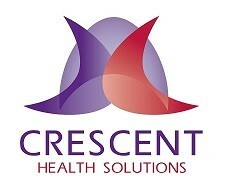 Register and pay online at www.crescenths.com/events or provide your name, title, organization, email address, and phone number and mail your payment to Crescent Health Solutions, ATTENTION: Education Event, 1200 Ridgefield Blvd., Ste. 215, Asheville NC 28806.